There are 100 lessons in the Saxon Physics Student Textbook. In the back, you’ll find simple answers to the odd-numbered problems in the problem sets. 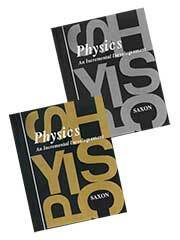 Unlike the Saxon Math books, the Physics book doesn’t have practice sets. After lesson 10, there are 5 “curveball” questions with complete solutions. The curveball questions aren’t discussed in the text but are designed to teach the students to “think” by applying the concepts of physics. Throughout the textbook, there are plenty of examples in each lesson with completely worked solutions. Black and white line drawings/figures help to illustrate physics concepts and examples. 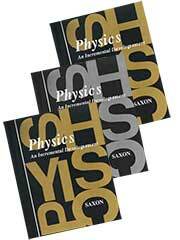 The Saxon Physics Solutions Manual is a must if you need to see worked-out solutions for the physics problems. 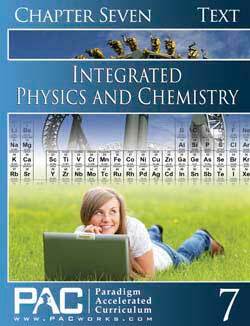 Save on Saxon Physics during our sale at Lamp Post Homeschool! The Saxon Homeschool Physics 1st Ed. Kit includes one of each of the following. The Saxon Homeschool Physics 1st Ed. Kit with Solutions Manual includes one of each of the following. 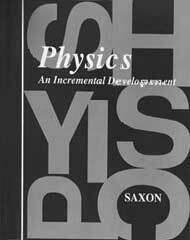 The Saxon Physics Solutions Manual 1st Edition has the worked-out solutions to the problems in the textbook. It shows the steps to solve each problem. 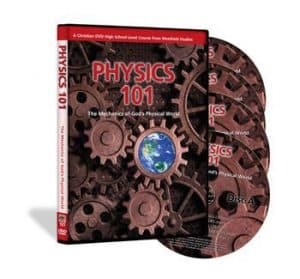 The Saxon Physics 1st Edition Answer Key and Tests have final answers to problems in the book and tests and the test forms. According to the testing schedule in the Test Forms booklet, tests are to be given after every fourth lesson for a total of 25 tests. Each regular test has ten problems. 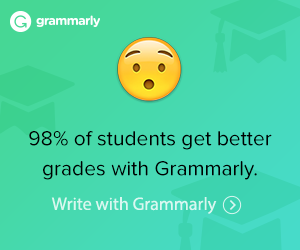 There are also quarterly exams with fifteen problems each. Two semester exams and a final exam are also included in the test forms booklet. Simple answers to the test questions are found in the Answer Key booklet. When the test answer involves a graph, it is shown in the answer key.